Mathilde Thorsen is working in collaboration with the project Elevating water rights to human rights: Has it strengthened marginalized peoples’ claim for water? She is also the founder of the project Water on the Agenda. A project dedicated to putting water and sanitation issues on the global agenda through education, accessible information and interdisciplinary collaboration. She handed in her master thesis ‘Water & Power’ at the Institute of Comparative Politics at the University of Bergen in June 2018 and is connected to the Natural Resources & Climate Lawfare Unit at the Centre of Law and Social Transformation. As a student she conducted research for her thesis on water rights in India and the role of the UN Special Rapporteur on human rights to safe drinking water and sanitation. 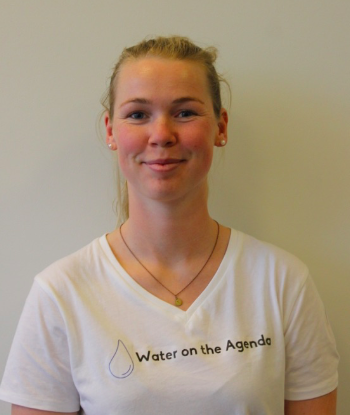 Mathilde has also written two debate articles about water scarcity and water rights and the water crisis in India in Bergens Tidende newspaper. Mathilde holds a Bachelor degree in Political Science and Human Rights from Buskerud University College and Masaryk University. Her bachelor thesis researched crimes against humanity during the war in Bosnia from 1992 – 1995 and the work of the International Criminal Tribunal for former Yugoslavia.